According to redditor 8styx8, yesterday night he heard two sound of explosion coming from the carpark at Block 414/413 Serangoon. He shared that Police and SCDF arrived at the scene and cordoned off the area. 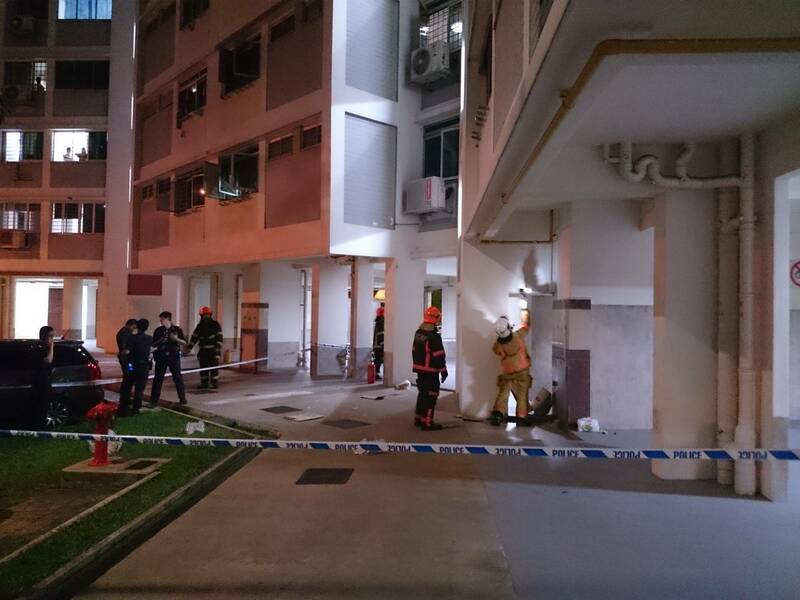 SCDF personnel were checking the gas pathways for leaks. While he was sticking around watching the incident unfold, another witness uncle said that the explosion was caused by 2 boys who ran away in a maybe a Grab or Uber while the other ran off. It is still unclear what caused the incident and if it is caused by pranksters, may our men in blue bring them in for kopi. "Two explosion at carpark, police and SCDF on lofation. Not sure what kind of ignition source. SCDF checking gas pathways for leaks. Watched for a while, asked around. Was told by an uncle "... two boys set up explosion then one ran away in a car maybe uber or grab then the other one dunno ran where." PAP SHOOTS DOWN WP REQUEST FOR WET MARKET, WILL THIS IDEA BE STOLEN & USED AS THEIR OWN? FOREIGN WORKER WITHOUT SAFETY HARNESS, SAFETY AS LAST PRIORITY?